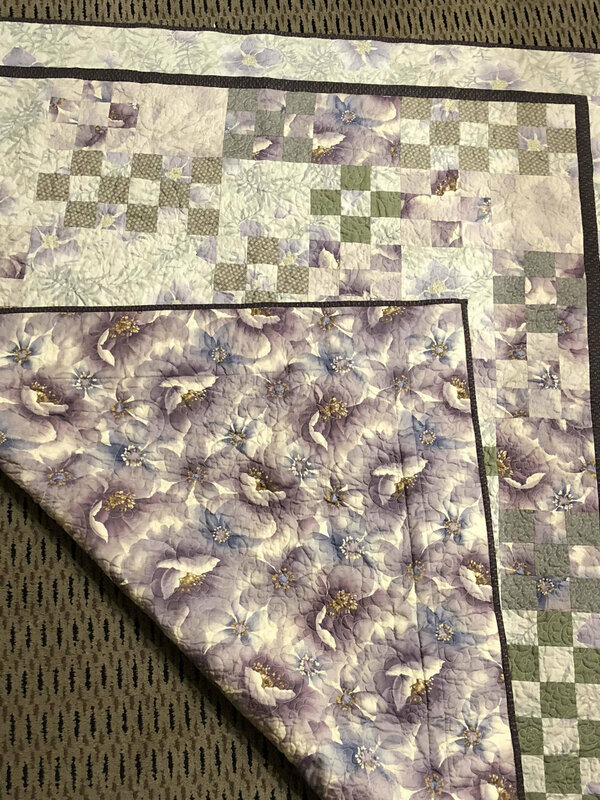 I'm still waiting for my order of the border fabric I need for the peace sign quilt, so I took advantage of a night "off" from that to start on my stash mystery challenge project. (The Stash Mystery Challenge is one I'm facilitating for my guild and I'm also running a slightly adapted version on my podcast. 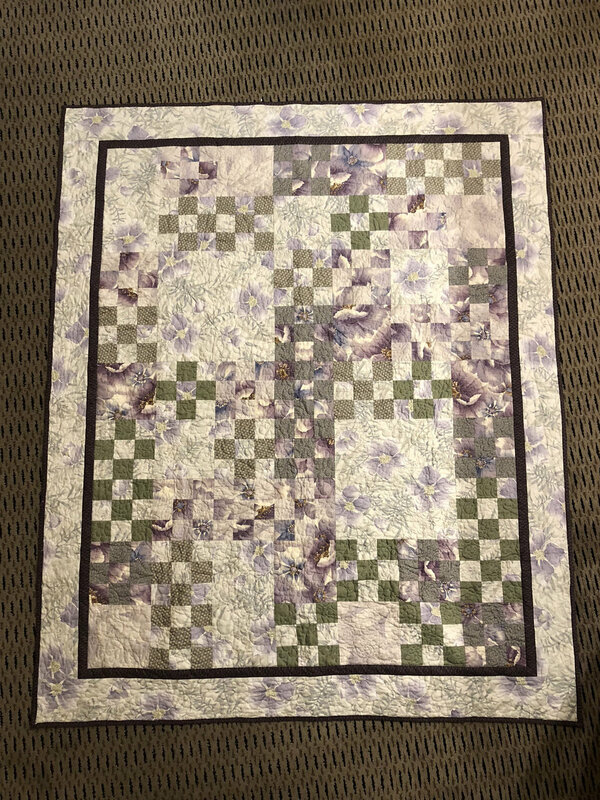 Check out the guidelines at www.quiltingfortherestofus.com, on the "Stash Mystery Challenge" tab.) This quarter's theme is "floral." My take on the theme isn't actually using floral fabrics, although clearly I am. 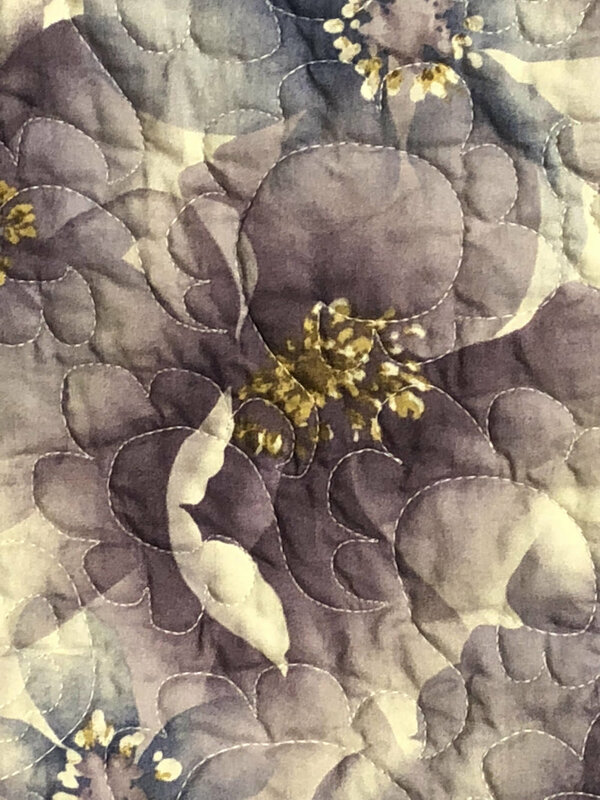 But the pattern I'll be doing makes pieced blocks that look like flowers. Very, very cute. The minute I saw the pattern in the book when I bought it a few years back I knew I wanted to make it for my MIL, but was still trying to clear the decks of so many other projects. I didn't even think about it in terms of this challenge until after I'd already published the challenge theme for the quarter and was trying to decide what I'd do. Doh. Of course! 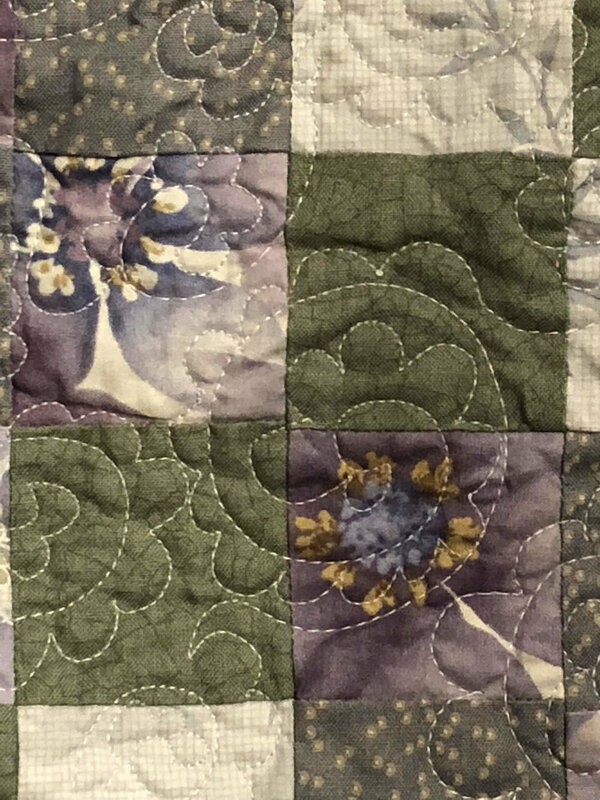 If I can keep working pretty steadily on it, I should get the top pieced by the deadline of the challenge in early March. If that happens, I can send it off to be long-armed and quite possibly have it back in time to give to my MIL for her birthday in early April. I actually made the jaunt out to my LQS for that half yard tonight as soon as I realized I was short--I only live a few minutes from it and since we're due for the same snowstorm covering half our continent tomorrow, I'm thinking I'd rather be snowed in with fabric than without it. Most people run to a grocery store--quilters run to the fabric shop. We have our priorities, after all.